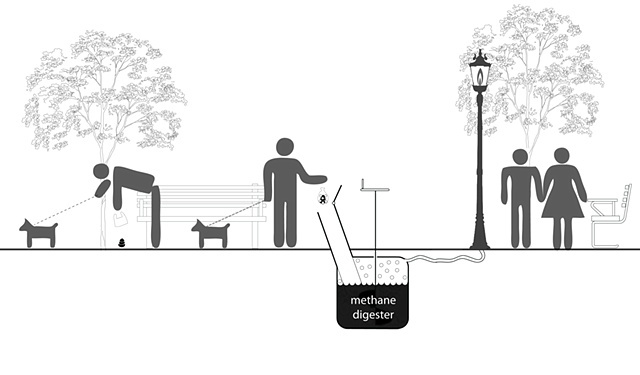 This project investigated the biodiversity of urban water bodies used for storm water management in Ottawa, Canada. Preliminary findings suggest that some of these managed water bodies contain similar levels of biodiversity to unmanaged, "natural" water bodies, although there are a number of highly degraded managed sites with very low biodiversity. 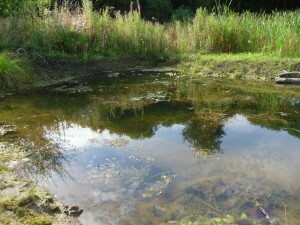 The presence of fish in 10 out of 20 managed ponds suggests relatively healthy ecosystems. Analysis of mosquito monitoring data suggests that the presence of managed water bodies does not affect the number of mosquitoes in an area. In conclusion, urban ponds can contribute ecosystem services including storm water management and biodiversity without increases in insect disease vectors. 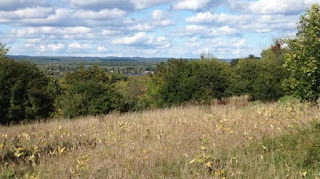 Founded in 1970, The Rideau Valley Conservation Foundation is a registered environmental charity that works to protect and conserve the Rideau River valley in eastern Ontario. 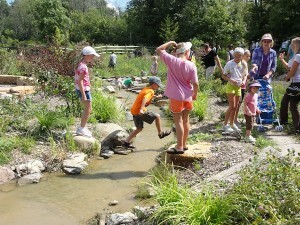 The Graham Creek Restoration Project, located in a public park, will focus on restoring a section of the tributary creek through a combination of bioengineering techniques and public shoreline plantings. The Children’s Garden – Sustainable Living Ottawa East created Ottawa’s first public garden four years ago. Designed for and with children, the SLOE garden is dedicated to teaching kids how to grow food organically right in the middle of the city. The garden has built links with schoolchildren and youth groups, attracted families to events and provided sanctuary for anyone who wants to escape into the wonder and magic of this urban oasis. This season they will continue to offer programs and activities that provide children with hands-on opportunities to engage their curiosity about the natural world through gardening and nature-based activities. Tree Planting - Funding for this project will support the removal of several dead trees from the Fletcher Wildlife garden site, and the addition of various native trees as replacement. The new native trees will be sourced from the Fletcher Wildlife Garden’s native plant nursery which supports the organization’s restoration and wildlife habitat development initiatives. Community Park Participatory Planning - This project is Phase 2 of a community park planning process developed by SLOE in consultation with local community members. SLOE staff will work with community members to develop a plan for a local park and protected forest area through various hands-on activities and educational tours of the site. This project will also see the installation of more educational signage along a pathway in the park with information on native plants in the area. 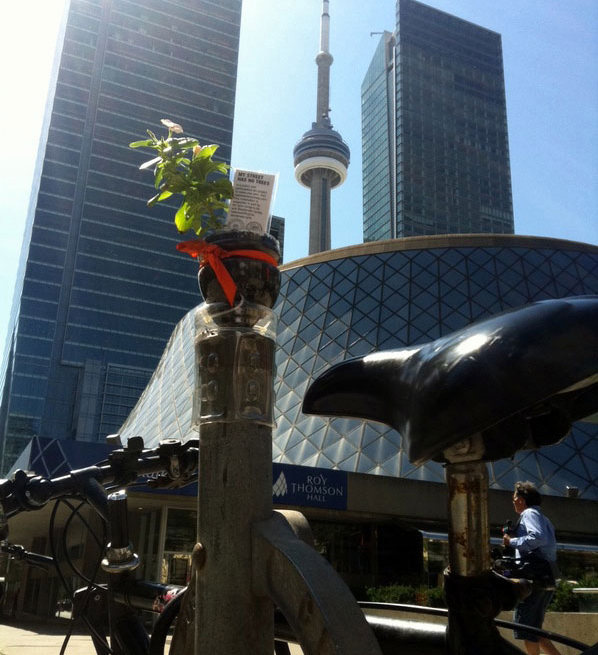 "Waterstudio has designed a new concept for high density green spots in a city, the sea tree. This sea tree is a floating structure that hold in many layers green habitats for only animals. Under water the sea tree provides a habitat for small water creatures or even when the climate allows it for artificial coral reefs. The cost for the shown Sea Tree design is estimated at 4.5 million dollar." 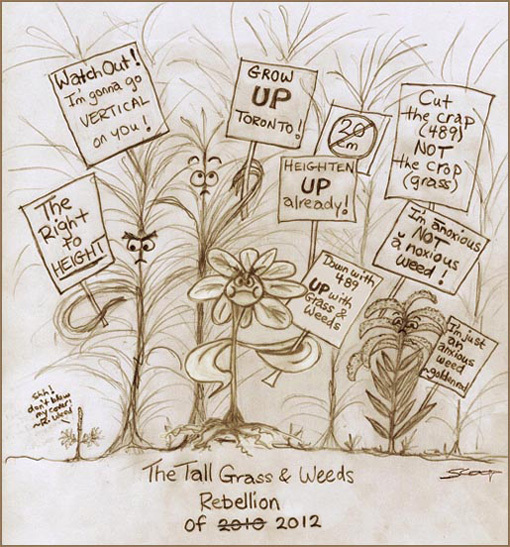 They are also doing this in Philadelphia - check out Green Revolution! 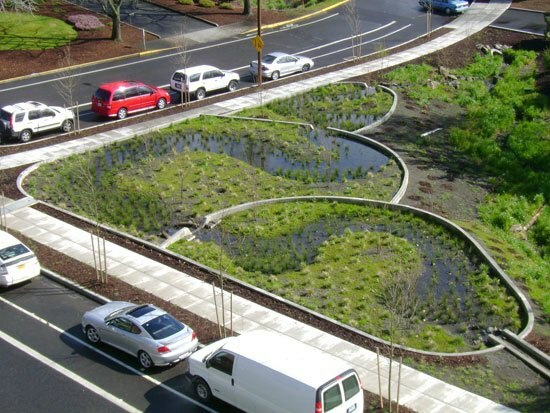 Portland's Green Street programme redevelops formerly asphalt areas into bioretention facilities. Before the Green Street treatment, this was an asphalt parking lot that routinely flooded. Image via Streetsblog San Francisco. Thanks to David Mann on Pinterest for the find. This blog has a glut of resources on the right-hand side and some great updates on courses and activities - mostly in Toronto. Learn about pesticides used on coffee farms, why shade grown coffee is better for wildlife, the different certification programs and what you can do! Great blog on the humane animal "control" that is possible! They don't use traps or chemicals, and their techniques are endorsed by the Humane Society of the United States. 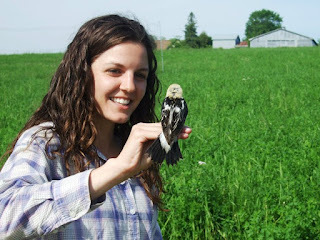 Lovely naturalist's website about birding and nature adventures in Ottawa. This summer there are many posts on butterflies, moths, dragonflies and damselflies. 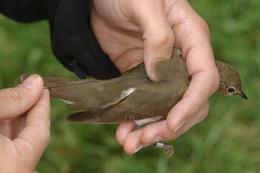 "The photo above (was) on public display in the "BTCV's Trust for Urban Ecology (T.R.U.E.) - Building a "Wildlife City" Discussion Thread of the "Natural Neighbourhood Flickr Group" of the world-famous KEW, The Royal Botanic Garden for showcasing what we are doing at our homes or in our local neighbourhood to help safeguard the diversity of plant and animal life, and celebrate the "International Year of Biodiversity 2010". 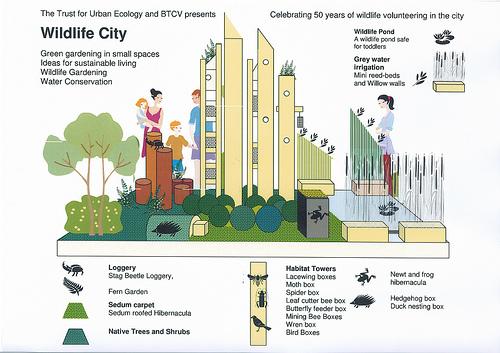 (A) real-life model of TRUE's "Wildlife City" (as shown above can be found) just outside the "Stave Hill Eco Hut & Visitors Centre" at Stave Hill Ecology Park, Rotherhithe, London." What thrills me is knowing — and seeing — that muskellunge thrive inside Canada’s fourth-largest city. Hendrik Wachelka admits he, too, is astounded by its ability to prosper here since, as a top predator, muskie reflect the health of the entire ecosystem. Everybody has a favorite tree right? One that is perfect to read a book under, or one that greets us after a long travel, a familiar trail marker or one that we personally planted. But have we ever shared our favorite trees with others? His post reminded me that the Ottawa Forests and Greenspace Advisory Committee had held a 'My Favourite Tree' contest in 2003 and the 'Heritage Tree Hunt' project in 2005. 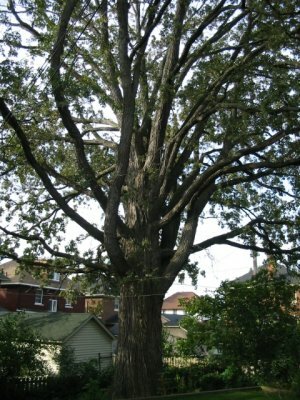 The Favourite Tree winner from 2003 was David Kitz's description of Orleans' Gentle Giant - a "10-storey tall" White Pine tree in a ravine near Jeanne d'Arc Hill in Orleans - a unanimous choice for the committee members. 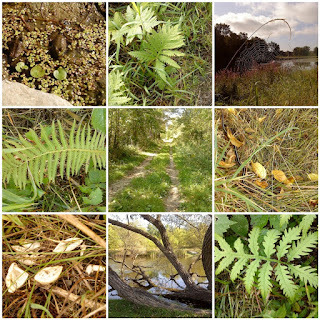 The OFGAC has some great projects including the Ottawa Tree Canopy Mapping Project and a Native Tree Database (which the Ottawa Field Naturalists Club hosts). Unfortunately at the end of this summer, the City announced that it was planning to cut back on their Advisory Committees. RIght now there are 15 (including the OFGAC) and by the end of September (after budget approval) the committees will be streamlined to five. 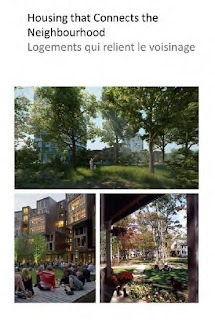 Which means the mandate of the Forests and Greenspaces will be included under Environment which will also include mandates from Peds & Transit, Parks & Rec, and the previous Environment A.C..
•Nature-smart workplace architect or designer. 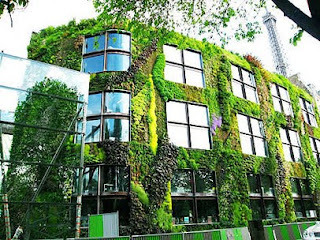 Studies of workplaces that have been created or retrofitted through biophilic (love of nature) design show improved product quality, customer satisfaction and innovation. Successful models include the Herman Miller headquarters building, designed for abundant natural light, indoor plants, and outdoor views, including views of a restored wetlands and prairie on company grounds. After moving into the building, 75 percent of day-shift office workers said they considered the building healthier and 38 percent said their job satisfaction had improved. • Urban wildscaper. 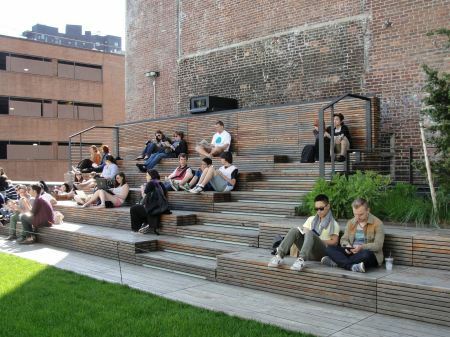 Urban designers, landscape architects, and other professionals who develop or redevelop private yards and/or neighborhoods that connect people to nature through the creation of biophilically-designed buildings and preservation of natural land will be increasingly in demand. 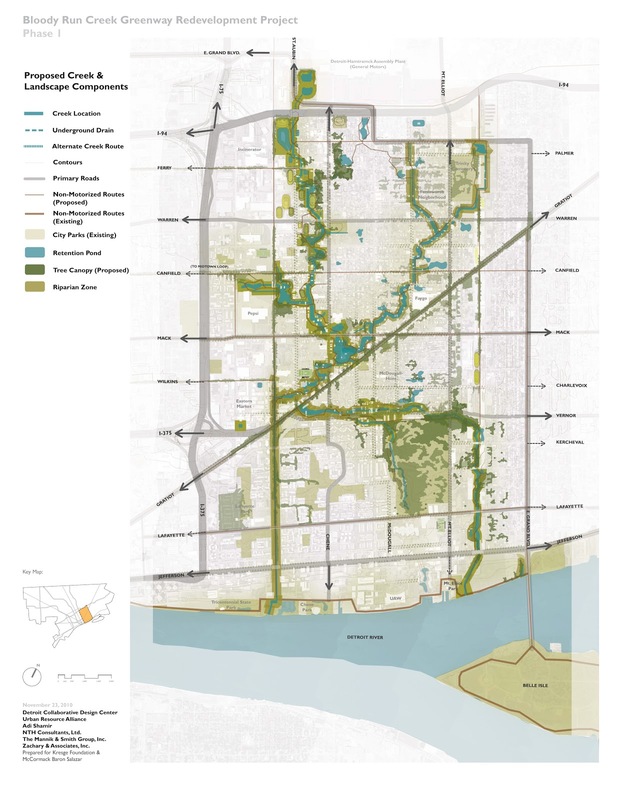 They will design and establish biodiverse parks, urban forests and community gardens, wildlife corridors and other wild lands. 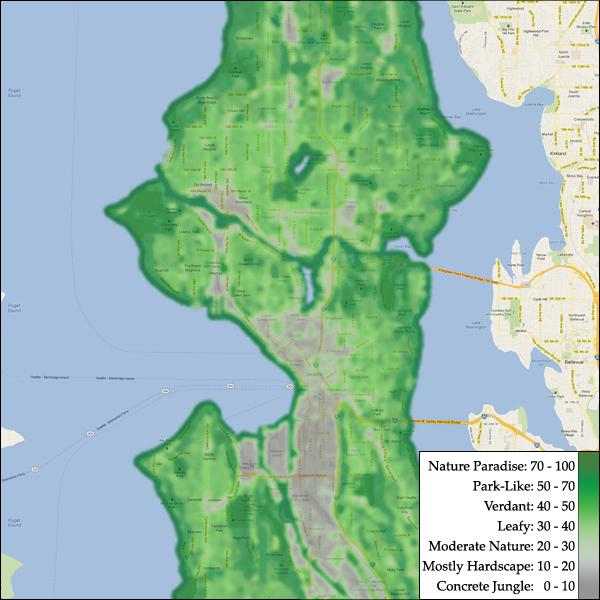 Seattle recently announced plans for a massive urban forest that will produce free food. Wildscapers will also manage wildlife populations. Biodiversity in Our Cities: The Case for Urban Nature - watch this You Tube video on the Tishman Environment and Design Center Panel Presentation (from the New School) discussing "the status of urban ecology in regional policies and national trends and how cities can develop comprehensive, collaborative, and proactive strategies for biodiversity conservation, management and restoration through government policies, public education, grassroots initiatives, business strategies and living systems design." Location: Eugene Lang Building, Wollman Hall. 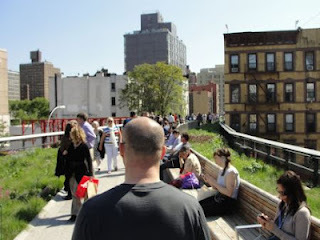 Tuesday, June 21, 2011 6:00-7:00 p.m.
Did you know that there is nature in New York City? The five boroughs are rich with forests, marshes, and meadows -- more nature than any other city in North America. Yet these natural resources are threatened by habitat loss, degradation, and fragmentation - the same factors that threaten biodiversity everywhere. 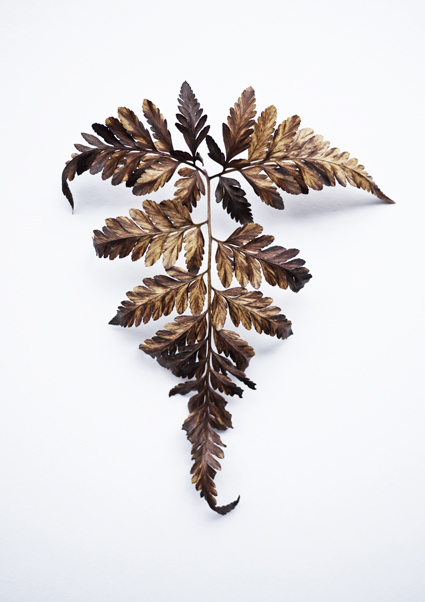 In fact, about one-third of the native flora and fauna in the United States faces extinction. In our urbanized world, the idea of cities as "concrete jungles" is inaccurate and only further alienates people from the natural world. Conserving and maintaining the ecosystems on which cities depend is essential to the health, wellbeing, and quality of life of their citizens. From their website: ICLEI's biodiversity graphics will address the importance of cities and biodiversity action at the local level. From the need for dynamic conservation projects to the value of ecosystems in Canada, they will offer the need-to-know facts about biodiversity practices in Canada and internationally. "Cities now occupy 3% of the earth’s land surface, hold 50% of our population, and consume 75% of all natural resources. All of these pressures put the world’s biodiversity at risk. 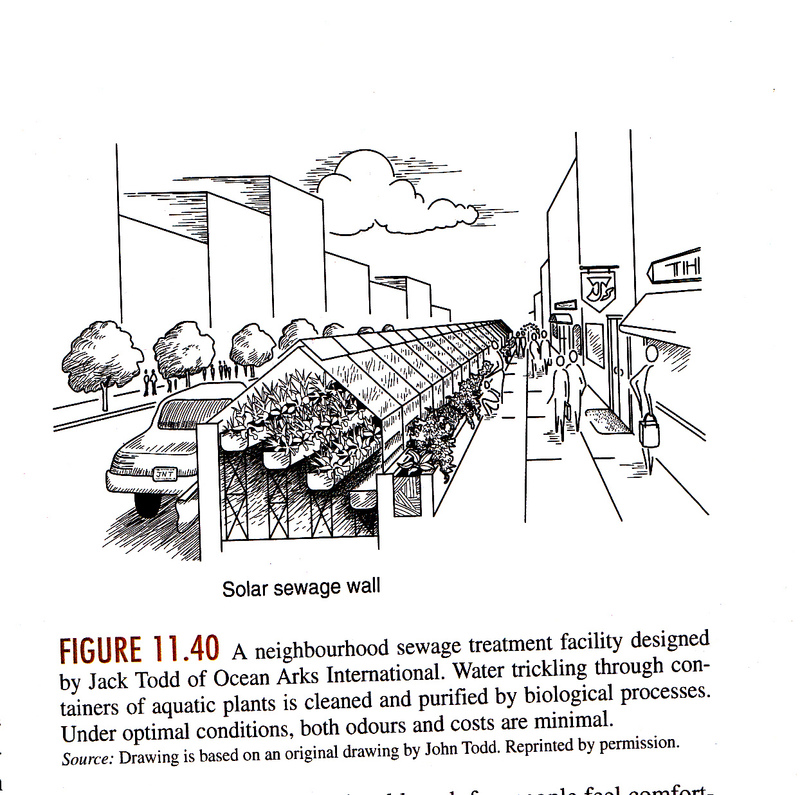 But cities large and small are both the problem and the solution. Local leaders are recognizing biodiversity’s vital role in sustainable development and its contribution to human wellbeing. Check out Biodiversity: Conservation Starts at the Local Level and find out more about why cities must drive action from the bottom up." Hedgerows may conjure up thoughts of the U.K. countryside or even parts of rural Canada but perhaps there could work in urban settings also? It would be an opportunity to add beauty and biodiversity to parts of the city. They could be used to line edges of a public park or they could be considered for infill development defining the border between neighbours. Hedgerows could also be used along some parkways or as a transition from fields to forests. In urban areas lighting would be key to address concerns of safety and a balance between busy corridors and quieter spaces would help create some access for wildlife. Hedgerows provide plenty of benefits including aesthetics, buffers for noise and barriers for privacy. Softscaping can be less demanding on your pocketbook and it can help attract birds and other wildlife - forget bird feeders and bags of seeds - you can choose attractive plants that produce fruits! I started thinking about the value of city hedgerows when a designer friend told me how an urban client had nixed her suggestion of a huckleberry hedge. The designer was hankering to see a pruned huckleberry hedge that flowered in spring, burst with berries in summer, then flamed red in autumn. You can imagine the designer's disappointment when her client chose to plant boxwood instead. Just think if the client had taken a chance with the huckleberries, and perhaps mixed in oakleaf hydrangeas for bold leaf and summer bloom. And maybe added mahonia for fragrant winter flowers, and evergreen huckleberry (Vaccinium ovatum) for yet more berries and year-round foliage. The effect would be lovely, productive and practical in all seasons, and so much more noteworthy and wildlife-friendly than boxwood." - Bats can slip through openings the size of a dime, so identifying their entry points is tricky. They usually find their way in through chimney tops, vents, open doors or windows, broken screens, eaves and loose roof shingles. 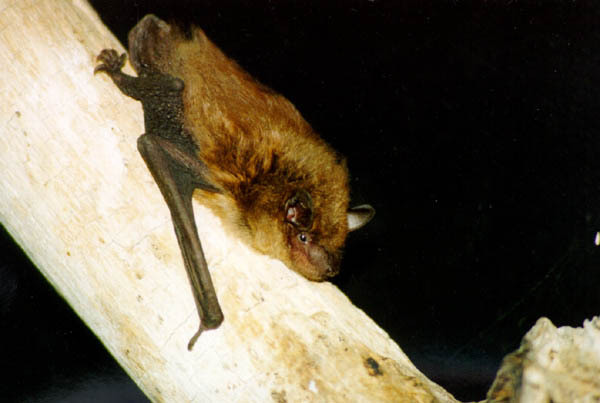 - Warm weather drives bats from colonies within upper walls and attics to lower areas in houses. During the daytime, bats sleepwalk down the spaces behind interior walls, later finding openings leading into houses’ living spaces where they fly about in confusion. - Urban bat colonies tend to be quite small while buildings in rural areas can have populations that number in the hundreds. Rural populations are higher because of access to insects. - A single bat can eat three times its weight in insects every night. 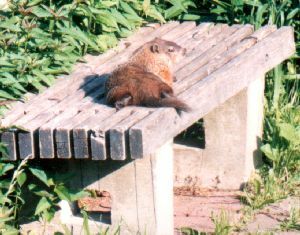 - This summer animal wilflife control companies in the area say calls for help soared in the recent heat wave (more than 100 calls a day). - The explosion of calls is also likely related to worries over a recent warning from the city’s health department that a dead bat in the Ottawa area was found to have rabies. - Most of the bats are non-migratory big brown bats whose urban populations seem not to have been decimated by white-nose syndrome (WNS), a deadly fungal disease that has killed millions of mostly smaller bats in Canada and the U.S.
For more information there is also a great post on a Big Brown Bat visitor on Seabrooke Leckie's Blog - The Marvelous in Nature. The Royal Ontario Museum has a "Listen to the Night: Bats of Ontario" exhibition that can be rented which covers the following topics: Diversity, Health, Hibernation, Summer Roosts, Cave Roosts, Attic Roosts, Tree Roosting, Flight, Senses, Echolocation, Conservation and Current Research. This former marine industrial site, which borders Chelsea Creek has been redeveloped into an urban wild. The restored site features salt marshes, meadow grasses, and other coastal habitat elements as well as walking paths, a boardwalk, sculptures, and a viewing platform overlooking the creek. The 265-acre arboretum is a “link” in the city’s Emerald Necklace, a collection of six parks designed by legendary landscape architect Frederick Law Olmstead. 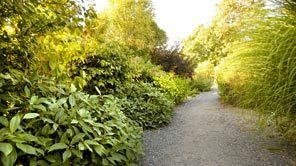 Nestled in nearby Jamaica Plain, the arboretum is the nation’s oldest, and a leading center for plant study. I love receiving Jacquie Lawson cards - which works well because my mother loves sending them. They are beautifully drawn cards which are animated. They depict quaint little villages, idyllic winter holiday scenes and lovely nature vistas and up-close details of flowers, trees, etc. 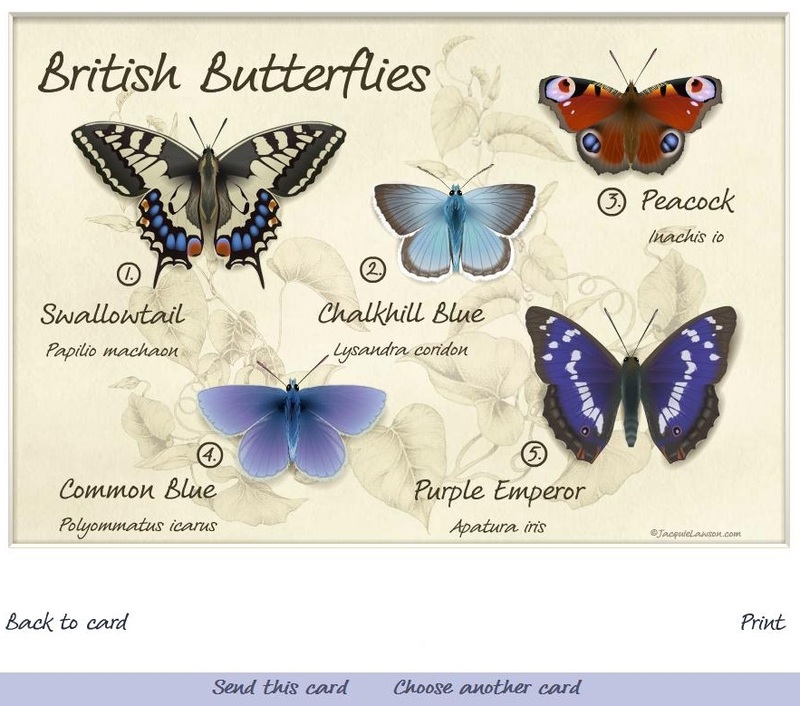 I just received one that was titled Butterfly Bouquet - here's the link to the card on Jacquie Lawson's site. What a great way to share knowledge and increase people's interest in nature! Congrats to the company for this brilliant idea! 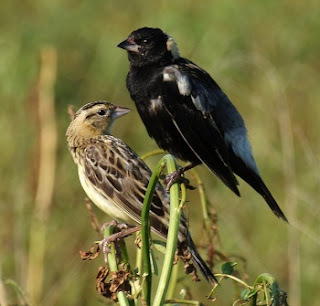 I've been trying to determine what makes good Bobolink habitat. 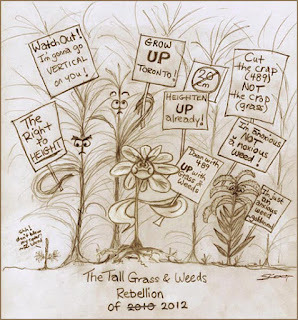 When I attended Mathis Natvik's presentation "Bringing Ontario’s Ecosystems To The Built Environment - Ecological landscaping for gardens large and small" at the Fletcher Wildlife Garden a couple of years ago, he was proposing urban meadows that would make good habitat for many open-field/rural birds. I'd ask people if they had seen bobolinks close to Ottawa - perhaps in the Agriculture Farm? - and discuss the habitat - why specifically hay? would any meadow do? - with others. 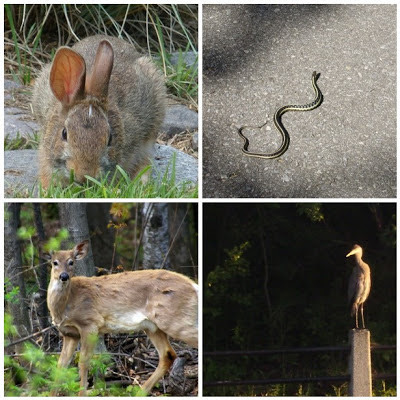 I wondered if the open areas along the Parkways in Ottawa - especially around Manor Park, the Aviation Museum and the Robert O. Pickard Environmental Centre - would make good habitat. And today I have my answer by doing a bit of google searching. I tell you the internet is an amazing tool! Welcome nature lovers. Its been an extremely hot and humid two weeks. reports of sightings have been sent in. Favourite locations, eastern and rockliffe parkways have resulted in the following species of birds, been seen. Many yellow warblers, american redstarts, common yellowthroat, blue jays, killdeers, eastern meadowlark, kingbirds, bobolinks, savannah sparrows and cardinals. The pair of indigo buntings have not been seen for over a week but we are hopeful that they are still in the area. A Great Creasted Flycatcher was the highlite for this report. Also there are many wildflowers in full bloom and they are a delight to see. Butterflies are in abundance, notibles being the Monarch and Swallowtails. Watch for them they are amazing and extremely colourful. Further reports will follow. Bye for now. Just 15 minutes south of Parliament Hill, in the nation's capital you can find the Ottawa Greenbelt. A place where the federal and municipal governments have managed to preserve local biodiversity and habitat integrity, their contribution to the future. 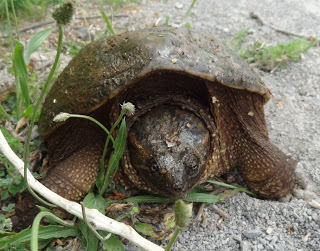 Eight species of turtles live in the Province of Ontario. Four of these species live in the Leitrim wetlands. 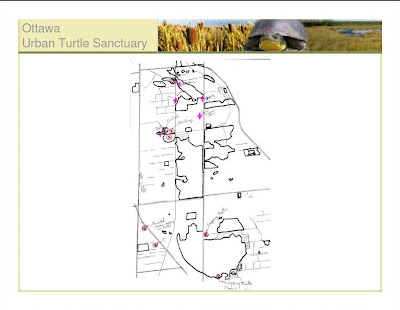 This habitat contains: Blanding’s Turtles (THR), Northern Map Turtles (SC), Painted Turtles and Snapping Turtles. While all four of these species are special, 2 of them are on the Province and Federal Species at Risk list. 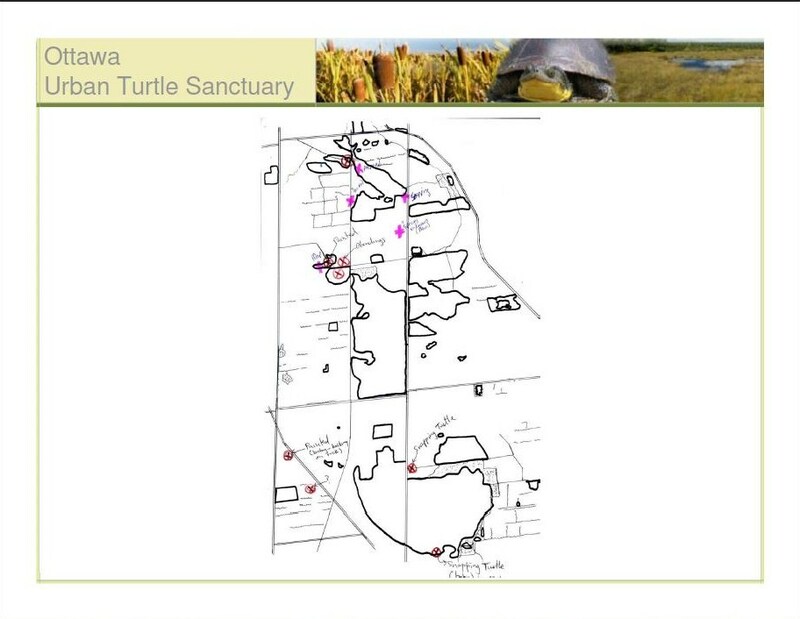 With the help of the Rideau Valley Conservation Authority, the Blanding’s Turtle wetlands (Sawmill creek Tributaries 8, 9, 10) was added as part of the overall Sawmill Creek clean up crusade. 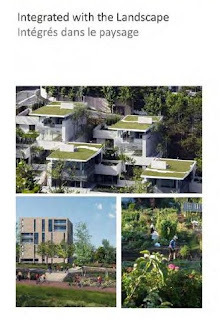 A program to promote, create and sustain the Urban Green infrastructure in the City of Ottawa, while promoting other city planning programs and plans that are available. 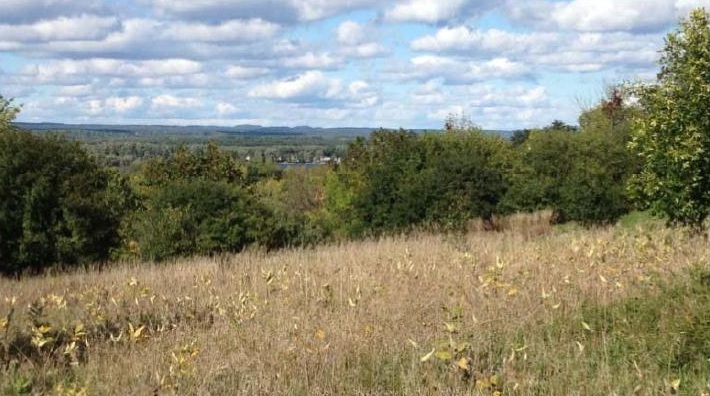 The focus of this program is to develop a methodology used to prioritize and evaluate the various urban natural areas in Ottawa for stewardship projects. 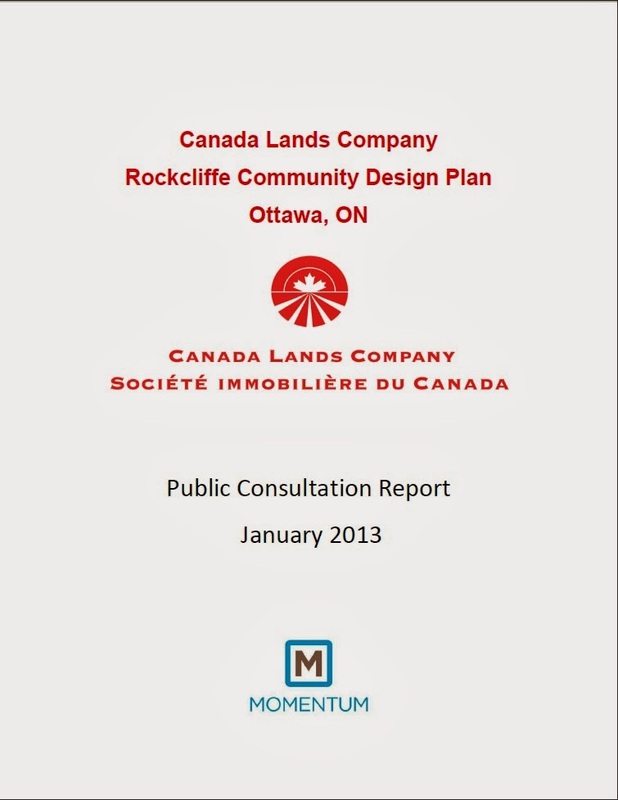 A template/methodology was developed and is used to prioritize and evaluate the various areas in Ottawa for green projects. Our Partners: Rideau Valley Conservation Authority, City of Ottawa, Carleton University (Practicum Placement Program), Ontario Ministry of Natural Resources. 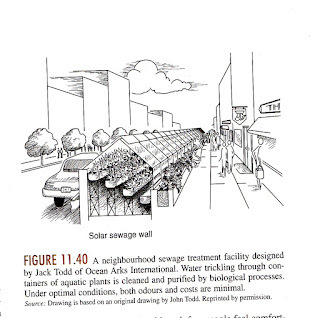 Also check out the City of Ottawa's Greenspace Master Plan (pdf) - August 2006. In it they outline strategies for Ottawa's urban greenspaces. Image from the City of Ottawa website. "Using plant plugs to vegetate the banks of the Ottawa River. The transition zone between normal high and low water is devoid of plants. 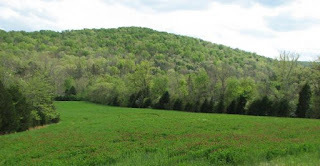 We are working on selecting native species to inhabit this zone." I've been to the Promenade Plantée and rejoiced about the incredible forethought this took and delighted in the magic that it is now. It opens up amazing views that weren't available before, it allows people to see and travel the city in a completely different way and it "takes you away" even though you are still immersed in the city. A local Ottawa blogger visited New York City this spring and got to experience the High Line Park - which is similar to the Paris park and being appreciated just as much. 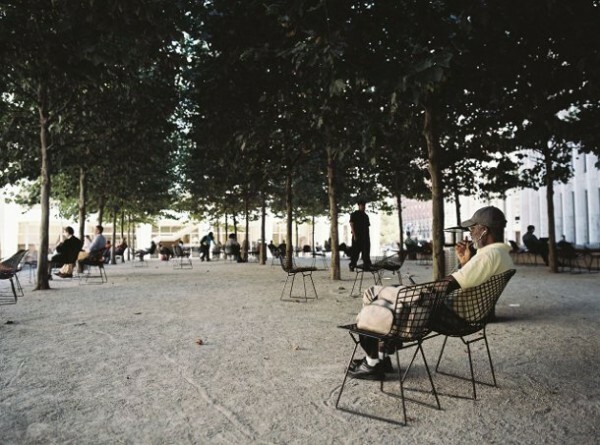 While watching the movie Urbanized, I was shocked to hear that it was a battle to get this created - that even though the Paris Park had been built there were doubters about whether the old rail line in NYC could be revitalized like the Paris one. Now that it has been built, it's effect is being felt in the city and beyond (see Huffington Post article). All I can say is that I'm so glad that people did fight to get this built. It's such a unique experience and has become such a success! 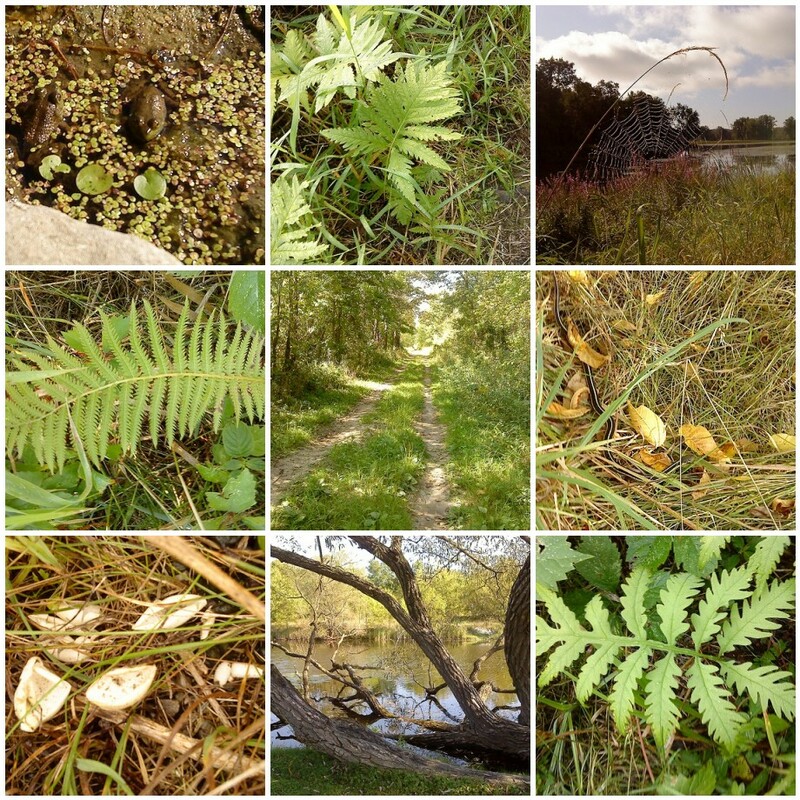 Labels: fauna, flora, green/blue corridors, insects, meadow/prairie, restoration, visit U.S.